What is Economy Class Syndrome? 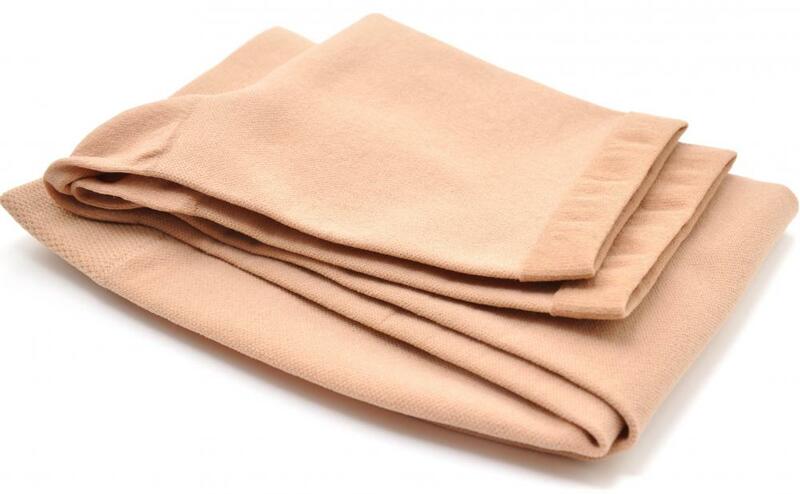 Compression stockings can reduce a traveler's risk of getting blood clots in the lower legs when flying. Plane passengers may be at increased risk of developing DVT. Cramped seating is only one factor in the development of economy class syndrome. 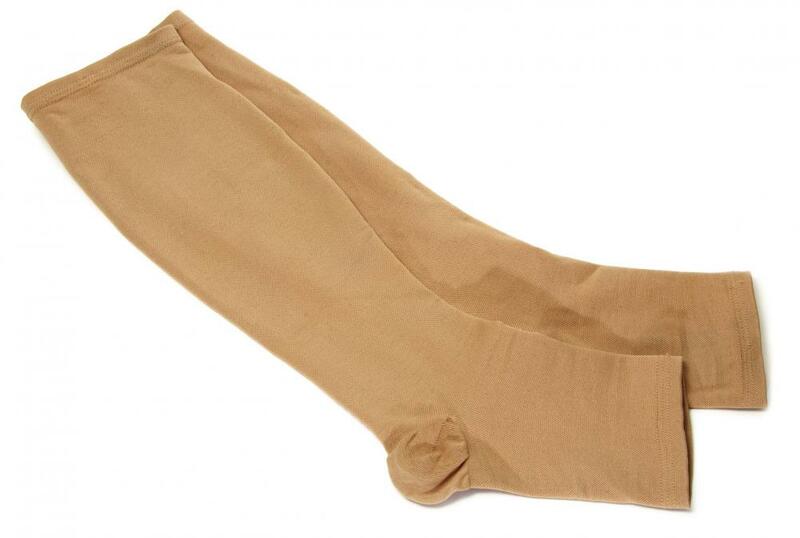 Wearing compression stockings on long flights can reduce the changes of blood clots forming. Economy class syndrome is a euphemistic title for the increased risk some people traveling in planes may have for developing DVT (deep vein thrombosis or large blood clots in veins, especially those in the legs), or complications of it like pulmonary embolism. The title is not entirely accurate, because DVT can develop in any airplane passenger. 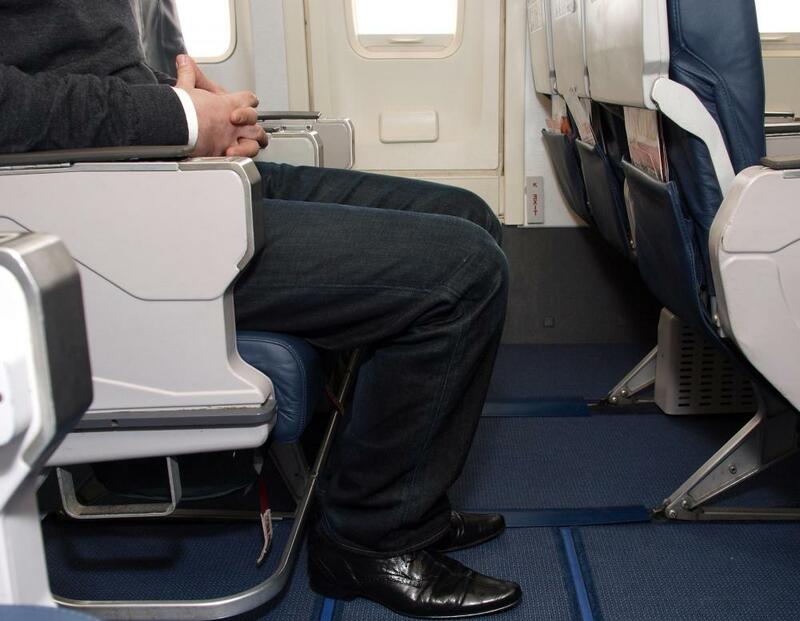 Though DVT risk may be higher if people ride in the economy class where seating keeps legs cramped and unable to move as much, people may also develop this condition if they have more room to stretch out. 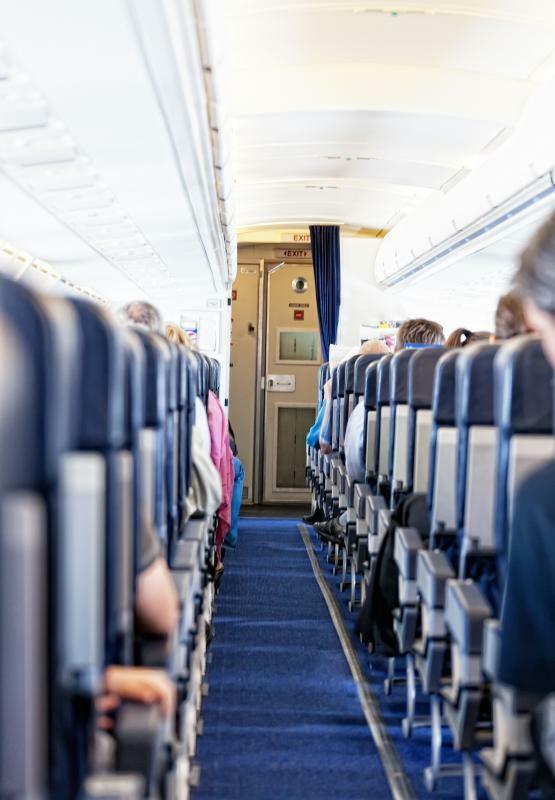 Cramped seating resulting in lack of movement is only one risk factor, and other potential risk factors of developing DVT on a plane include belonging to a high risk group, length of flight, dehydration and cabin pressure. It’s certainly the case that economy class syndrome is in part due to lack of movement and other inherent factors associated with riding on planes. The condition seems to emerge most when cabin pressure is low, and the lower humidity in the plane creates problems, causing many people to experience a certain degree of dehydration. Since dehydration may contribute to DVT in those at risk for it, it’s very important that people stay well-hydrated on flights. This would mean drinking plenty of non-alcoholic and non-caffeinated liquids. Choosing water may be the best decision, and having a large drink of water prior to boarding a plane is also wise. On long flights, it can be useful to spend some time moving around on the plane, and there are special exercises that have been shown to lower risk. Those greatly at risk for DVT, including those with previous episodes of it or people like pregnant women might need medical treatment in order to safely fly, and they can especially benefit from wearing compression stockings, which are thought to minimize risk. Another option is to break up flights. Economy class syndrome seems to most occur in people who fly for longer than 10 hours. Breaking a trip into two flights occurring on separate days might lower DVT risk. The biggest concern with economy class syndrome is that people will develop a pulmonary embolism, where a blood clot travels from a deep vein into the lungs. This is life threatening and may not be something that can be handled when a plane is in mid-flight. It’s important that people take this risk seriously, and talk to physicians before flying if they’re more likely to get DVT. In addition to pregnant women and those with previous DVT episodes, people with poor circulation, smokers, and anyone with other forms of heart disease may be more prone to the condition. It’s wrong to imply that DVT only occurs in those at elevated risk, and sometimes economy class syndrome affects healthy people. All people taking flights, no matter the flight class, should make an effort to stay hydrated. Moving around about once an hour may also help. What is the Most Effective Deep Vein Thrombosis Treatment? What is a Superficial Vein?